Best of the Brits. 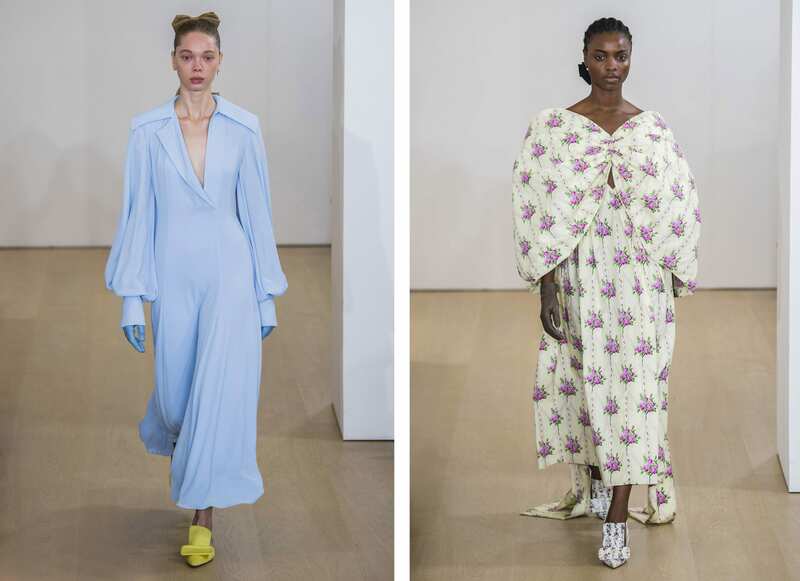 From the Victorian renaissance at Erdem to Victoria Beckham’s return home, we round up our favourite moments from London Fashion Week SS 19. 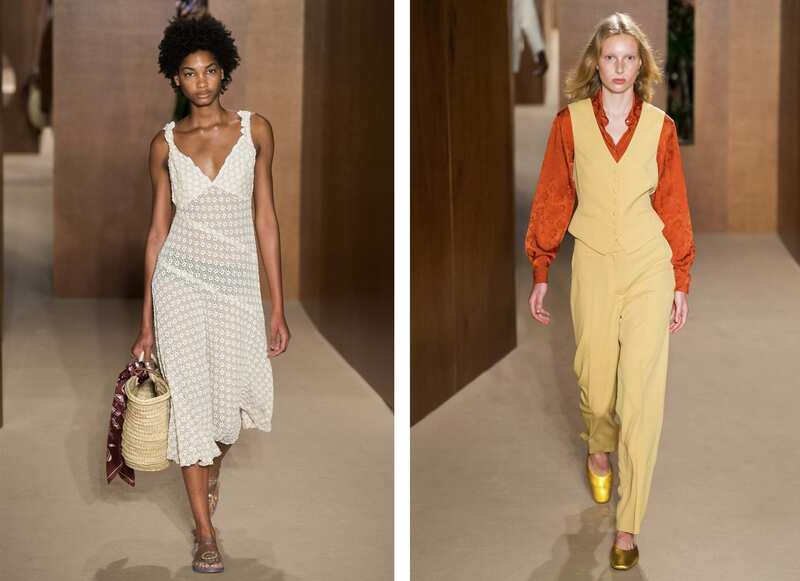 A mash-up of spring dresses, jumpsuits, 70s two-pieces and rich suedes, inspired by the airport’s arrivals and departures lounge. 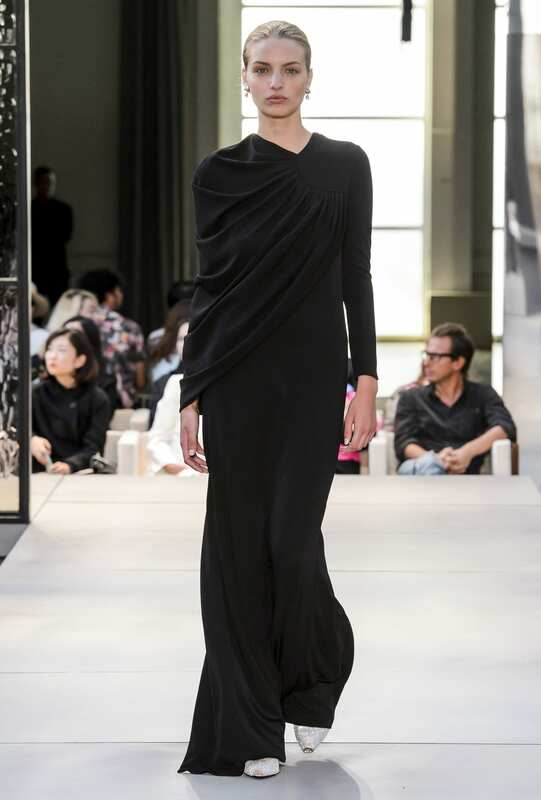 True to form, it was a collection of wearable pieces that were quintessentially Chung. 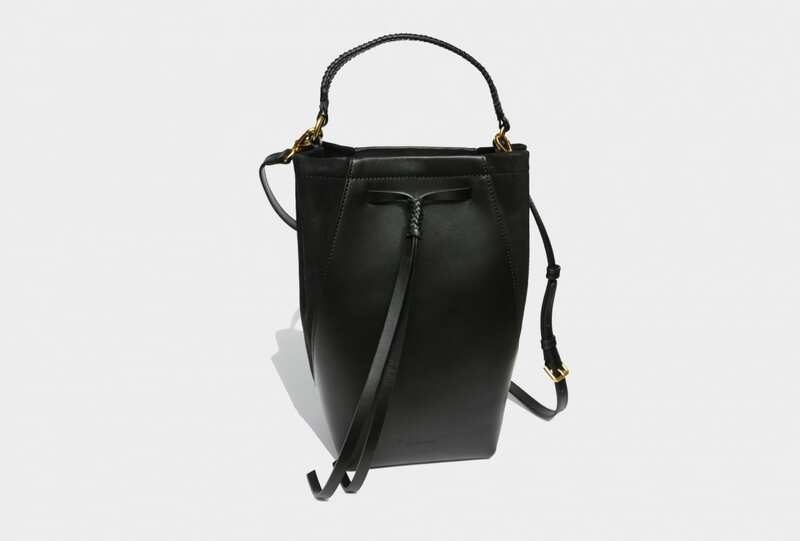 The first collection under the helm of new Creative Director Riccardo Tisci. 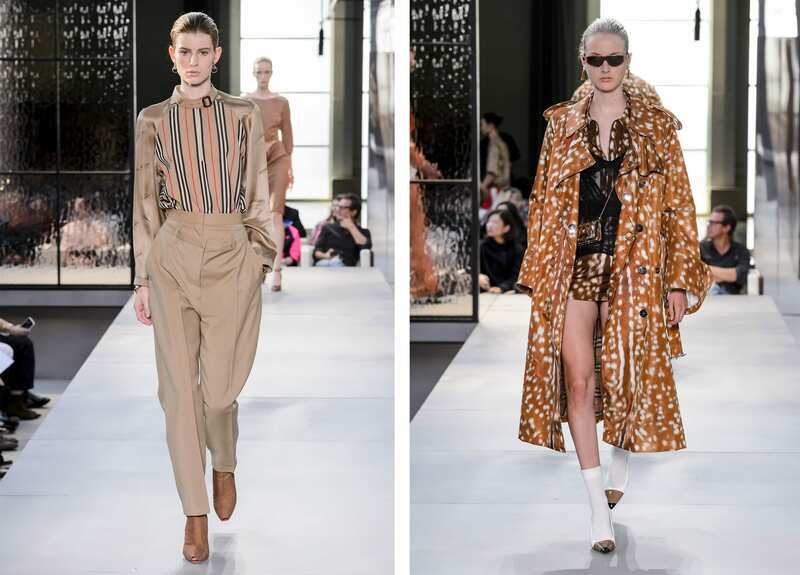 With over 100 looks, SS 19 was a mix for all generations, from iconic trenches to street pieces and evening wear. All for one. 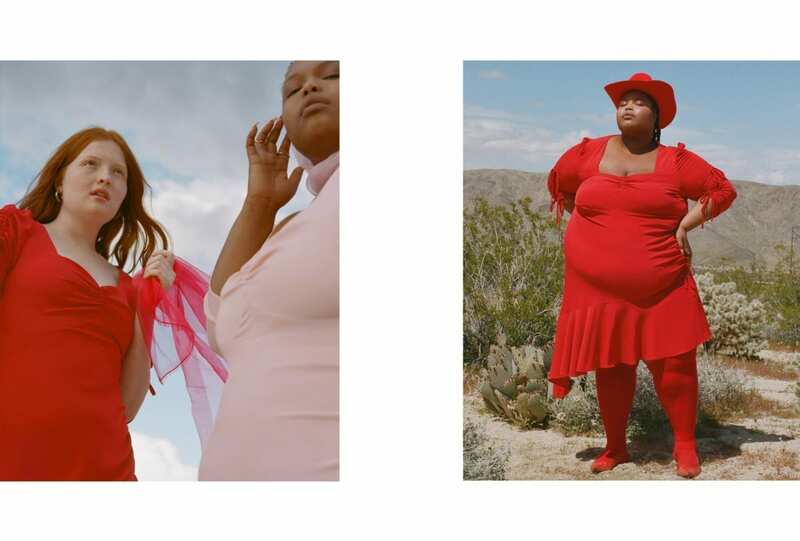 An ode to female empowerment. 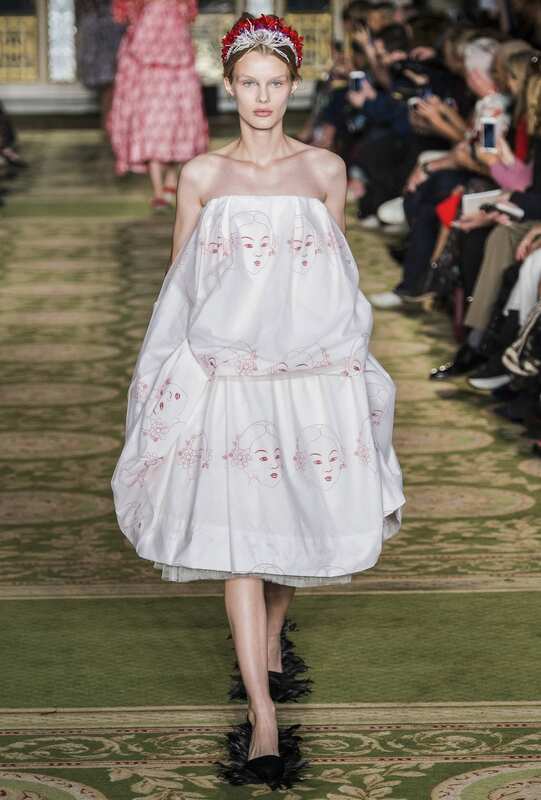 With wide shoulders, printed t-shirts, tulle, lace dresses and Christopher Kane’s signature jewelled touches, this was a collection dripping in sexual innuendo. Event dresses for spring in a mixture of sweet pastel, soft whites and signature floral prints. Sugar, ah honey honey. 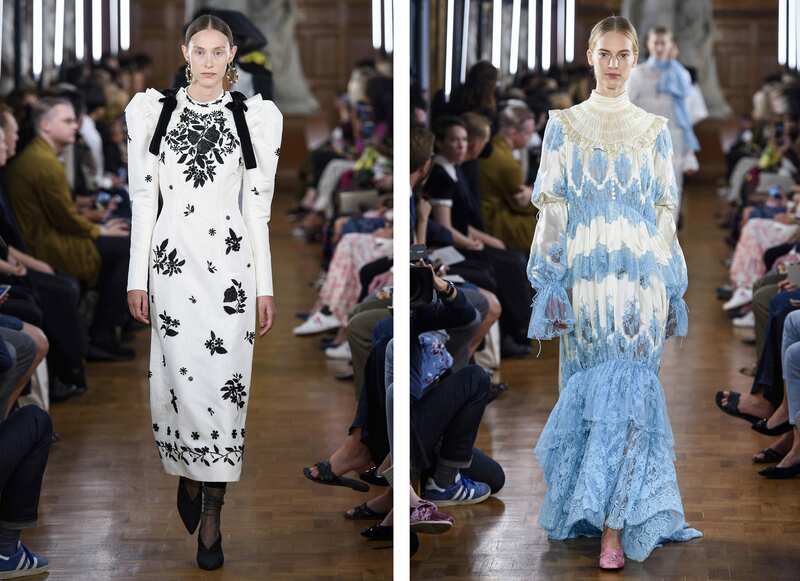 Puffed sleeves and delicate lace shaped elegant gowns inspired by the Victorian era, presented in none other than London’s National Portrait Gallery. 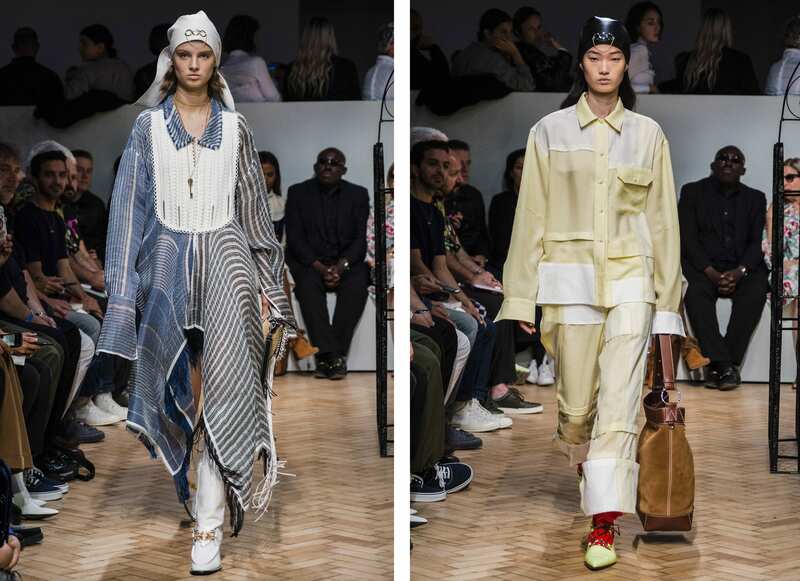 A combination of shapes, cuts, materials, prints and colour, pieced together the J.W.Anderson way. The DIY dream. 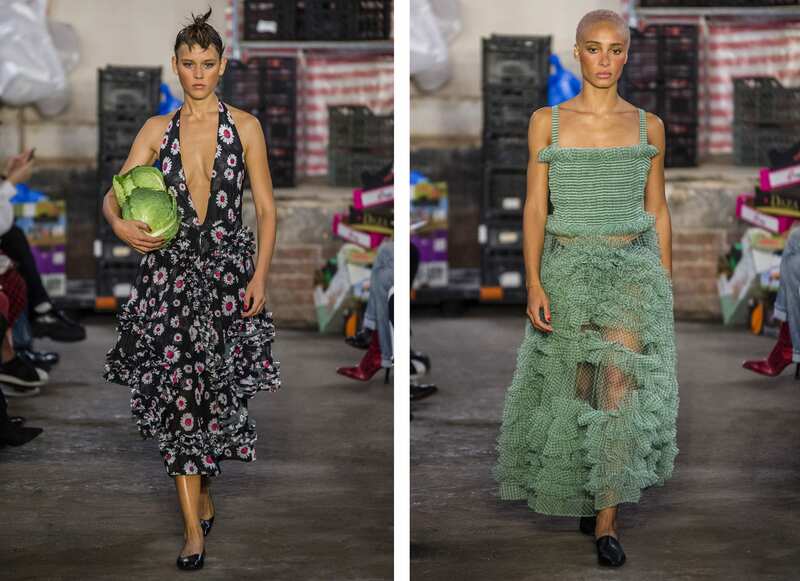 Daisy prints, playful ruffles and plunging necklines. The perfect welcome to spring. Castaway girls. 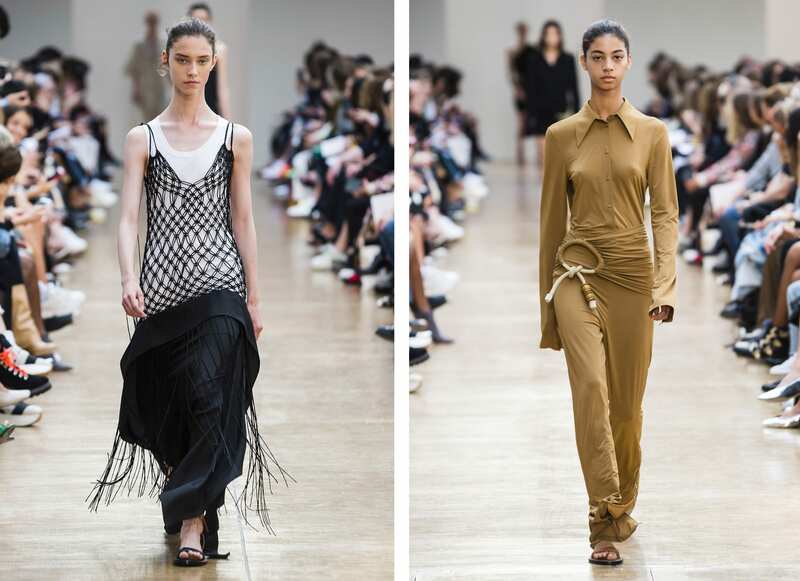 Macramé pieces, relaxed tailoring, fitted dresses, rope ties and cascading beaded strands combine for the summer uniform of our dreams. 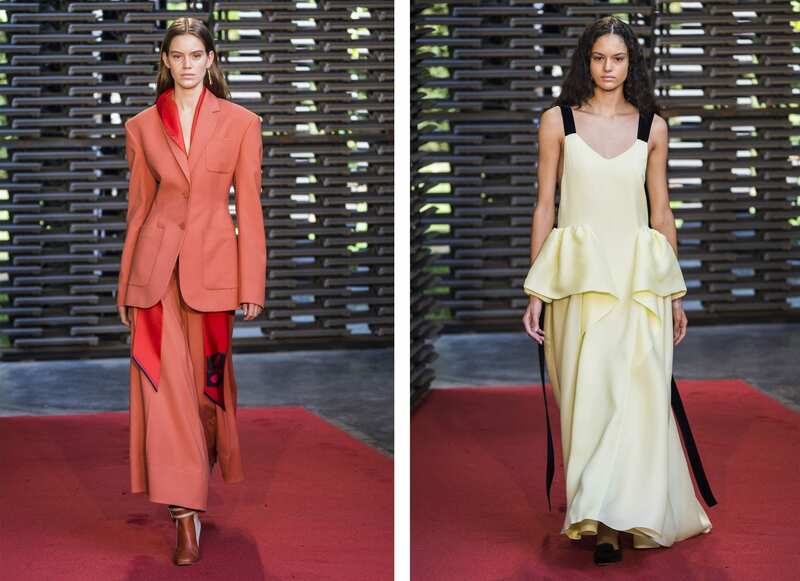 A sea of rich red and sunshine hues painted oversized, architectural blazers and evening gowns. 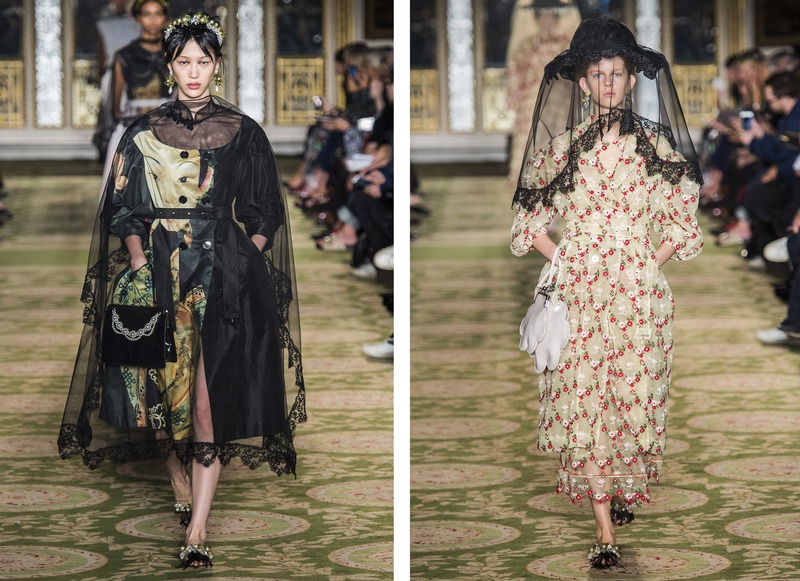 Dramatic veiled chapeaus, delicate lace embroidery and prints of antique paintings shaped Rocha’s romantic spring collection. Victoria Beckham returned to London to celebrate the 10-year anniversary of the brand. 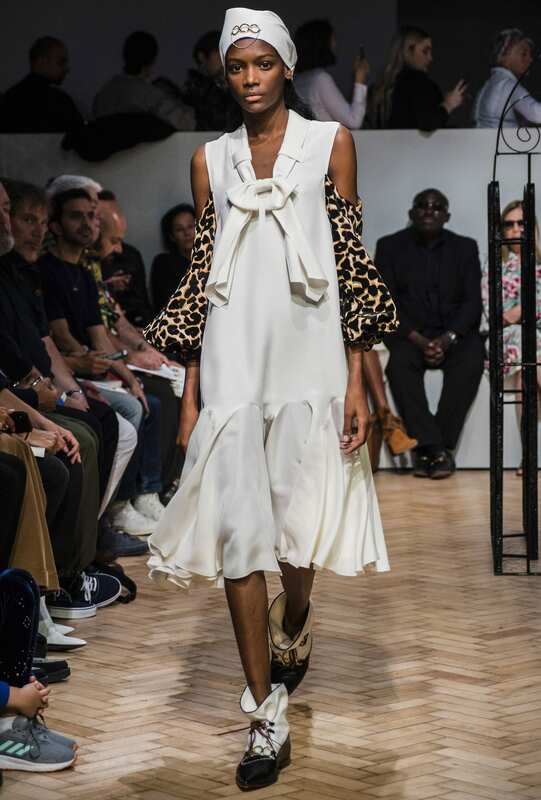 Showcasing crisp tailoring and sharp pops of colour, not to mention industry favourite Stella Tennant opening the show, it was a welcome homecoming for the designer.